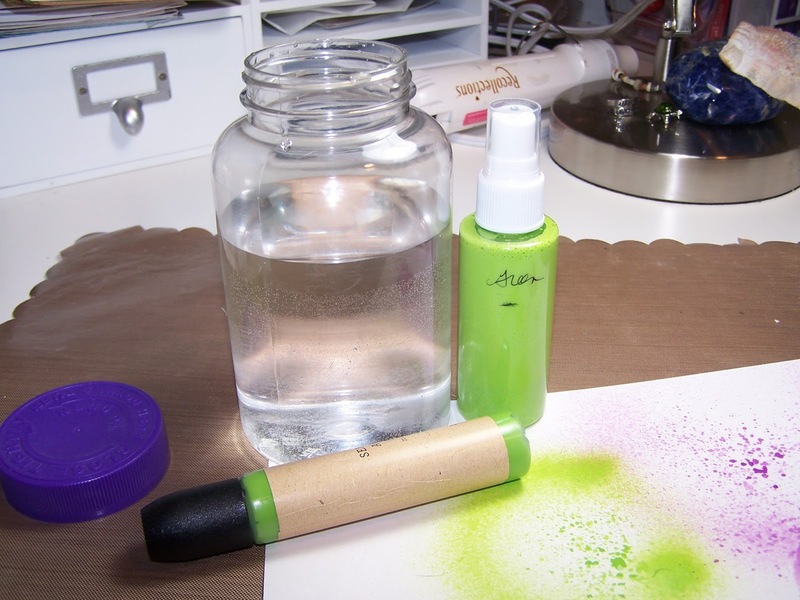 Last week I spent some time making my own spray inks by mixing one part acrylic paint with 3 parts water. 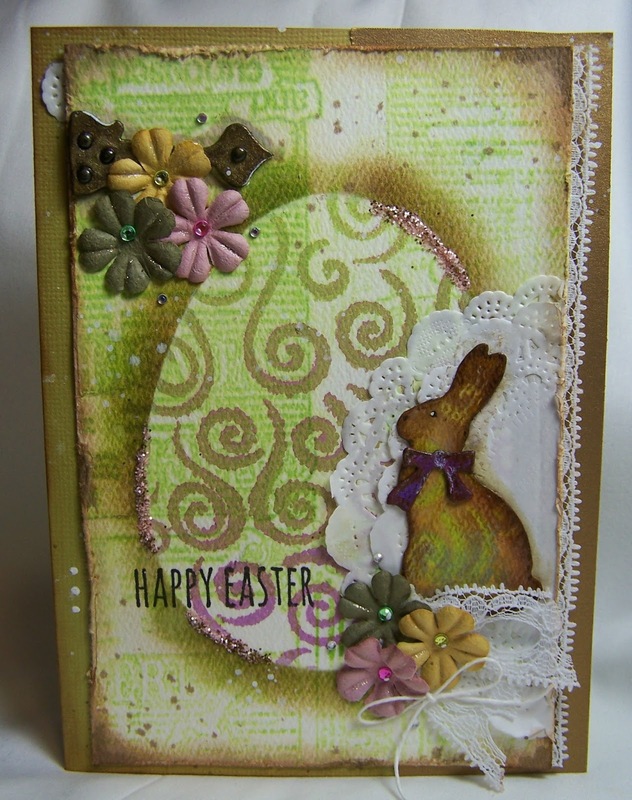 So, today I created a mixed media Easter card with the inks I made. The egg framed background was made by double mounting stencils (Swirl pattern by Folkart under an egg stencil by Dreamweaver) onto heavy watercolor paper. Once masked off, I then sprayed with my home made acrylic spray ink. Stamps from the “Literature” stamp set (by Club Scrap) along with Lime Rickey ink (by Catherine Pooler) were used to build up the background. The edges were distressed with Tim Holtz/Ranger distress ink/tool and the Bunny (Tim Holtz Alterations) was also ink sprayed (over the swirl stencil) and then distressed. To finish the card, I embellished with flowers, paper doilies, lace, string, brads, gems, Distress Glitter and a Grungeboard element. 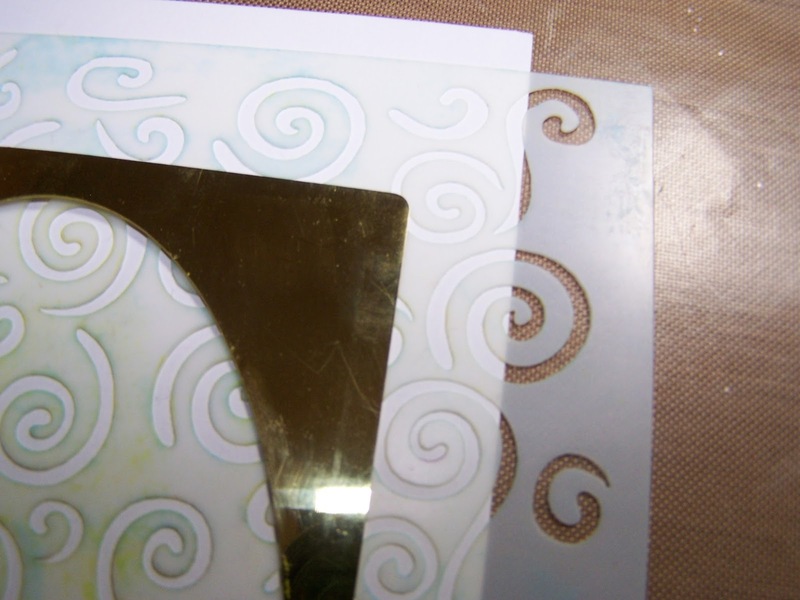 The main focal panel was then mounted to a Card (over a 1/2 layer of metallic gold paper at opening edge of card).